A settlement agreement (formerly known as a ‘compromise agreement’) is a document issued under employment law recording an employee’s agreement not to pursue a claim against their employer. Settlement agreements can cover a wide variety of different claims, including unpaid wages, discrimination and unfair dismissal. By signing and agreeing to a settlement agreement, you may be signing away certain employment rights, and so if your employer issues a settlement agreement to you, it is extremely important (and in fact, a legal requirement) to seek legal advice immediately. 1: What are the requirements for a settlement agreement? In order for a settlement agreement to be valid, certain requirements have to be met. Any settlement agreement must be in writing, the employee must have received legal advice, and the agreement must relate to something specific the employee could claim for against the employer. When you seek legal advice, your employment law solicitor will need to ensure that the settlement agreement meets all of the necessary legal requirements. If you enter in to a settlement agreement by signing it, you will no longer be able to pursue an employment related claim against your employer. It may be that you want to make some sort of claim against your employer, and that the settlement agreement has been issued by them in order to try to stop you from doing so. There is no legal requirement for you to sign a settlement agreement. The purpose of seeking expert legal advice is so that you can fully understand what claim, if any, you may be entitled to make against your employer. This is why, in the interests of fairness, it is a requirement to obtain legal advice before signing a settlement agreement. It could be that you are parting with your employer amicably, and that you are surprised to have been offered a settlement agreement. It is increasingly common for employers to offer these in order to protect themselves against every eventuality. Settlement agreements will usually offer some monetary payment. It is important to discuss with your solicitor any potential claim you may have, in order for them to be able to advise whether your employer’s financial offer is appropriate and fair. It is common for settlement agreements to cover almost every type of potential claim you could make. By signing, you waive your legal right to do so. 3: What can I expect within a settlement agreement? Within a settlement agreement, you will usually be offered money. Almost always, it will include what is known as a termination payment, or sometimes a compensation or ex-gratia payment. Your specialist solicitor will be able to advise you on the appropriateness of the termination payment, based upon the fact that by accepting it, you will be giving up your rights to pursue any claim. The amount should reflect the value of any potential claim you are forfeiting the right to commence. Usually, the first £30,000 of a termination payment is tax free, but this can vary depending on the circumstances. You could also be entitled to holiday pay and pay in lieu of notice. The rules concerning tax and payments are complex, and your solicitor will be able to give you detailed advice. In order to establish whether the termination payment is fair, your solicitor should discuss with you things such as the specifics of any potential claim, the likelihood of success of a claim, together with the possible financial value if you were to pursue a claim against your employer. 4: What if I decide to make a claim? 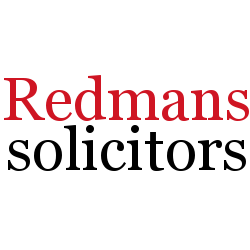 Your solicitor will advise you on the merits of any potential claim, and should tell you that by rejecting a settlement agreement and going to an employment tribunal, you may end up with nothing. There may be the opportunity to negotiate your settlement agreement, if the amount and terms offered appear to be unfair. You may need to threaten to go to an employment tribunal if your employer does not agree to your request. However, it is best to discuss this in detail with your employment lawyer. If, following legal advice, you decide to make an employment tribunal claim, you should bear in mind that most tribunals take at least six months, they can be emotionally draining, and that you simply may not succeed. Your solicitor will be able to tell you whether your claim has a realistic prospect of success. 5: What else do I need to know? Settlement agreements can be complex, and you need specialist legal advice. Your agreement may or may not contain the reason for termination, details about garden leave, and the terms upon which they are willing to provide you with a reference (if they wish to do so). All of these are things for which your solicitor can offer advice. Most settlement agreements also contain what is called an ‘Adviser’s Certificate’. This is for your solicitor to sign to confirm you have received appropriate advice about the settlement agreement, and that they are suitably qualified and insured to do so. The agreement will not be valid until all parties have signed, including your solicitor. You will probably have a lot of questions, and that is understandable, as the area of law covering settlement agreements is not always straightforward. There are many different factors to take into account, and many things to consider. With this in mind, you need an experienced and specialised solicitor who has expertise with settlement agreements and employment law.